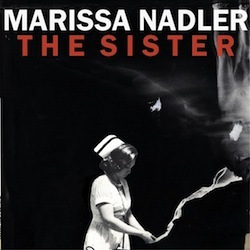 Marissa Nadler’s been busy lately, with two releases in a year. The Sister is her follow-up and companion to 2011’s self titled album. While last year’s release was heavy on heartbreak and longing, Nadler looked a little more broadly for inspiration on this one. It’s still not a perky affair, as Nadler’s etheral vocals make even the most upbeat lines sound downright depressing. Her voice is still the centerpiece of the release, though some of the songs get much more intricate than expected, with layered vocals, piano, and fingerpicked guitar to support. It’s not exactly a pick-me-up sort of album — the energy here is all devoted to emotion, not to making you want to dance in your seat — but is a gorgeous, haunting release nonetheless, perfect for a more down-tempo, mellow day of listening.